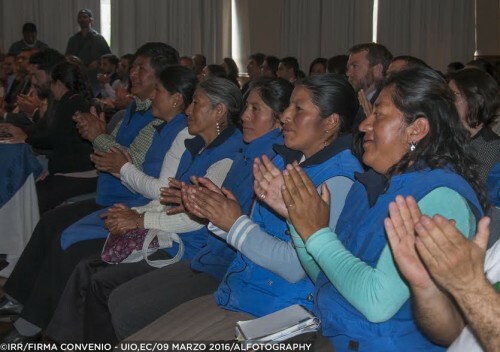 “Compañero is one who stands with you!” This is how Laura Guanoluisa, the leader RENAREC (Ecuadorian National Waste Pickers Network), began her address. The important event was attended by many waste pickers who filled the hall. 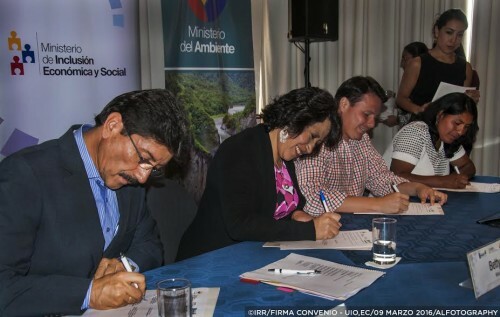 The agreement was signed by the Ministry of Economic and Social Inclusion, the Ministry of the Environment, the Popular and Solidarity-based Economy Institute and RENAREC. In her powerful discourse, Laura highlighted four fundamental points which will follow the signing of the agreement. 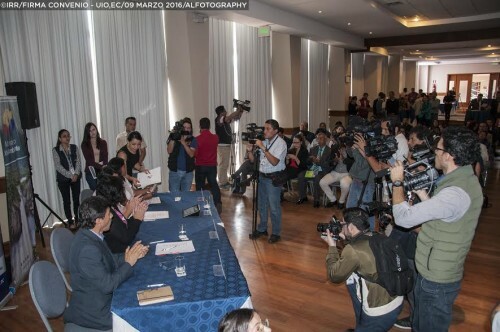 The first point is related to social security access for all of Ecuador’s waste pickers, as there are more than 20.000 families who work in that profession in the country. The second is to achieve recognition as providers of a recycling service by means of a salary, given the benefits and savings they bring to municipalities, industry, society and to the environment. The third demand is that the recycling industry buy recyclables directly from waste pickers at fair prices. The fourth demand is that RENAREC, with MAE’s help, will support citizens’ initiatives in order to strengthen waste pickers. Read original post (in Spanish).